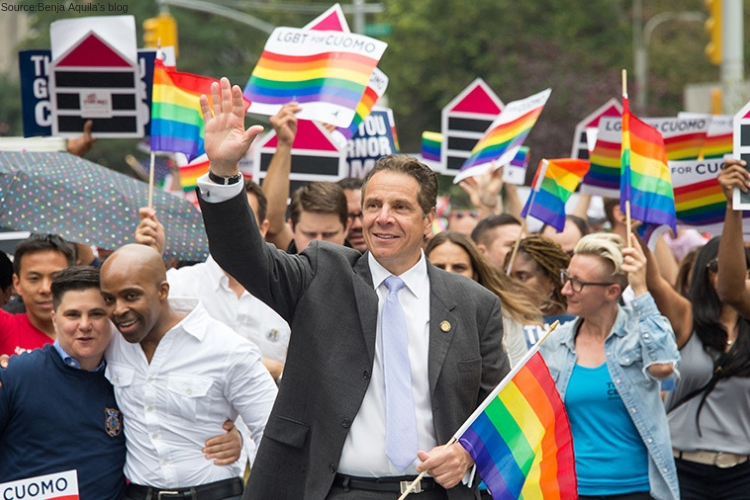 Earlier this week the state of New York legislature voted to ban a specific type of conversion therapy that is intended to “heal” gay minors, Democratic Gov. Andrew Cuomo is expected to sign the new bill by the end of Friday. New York will be the 15th state to ban the ancient practice, which has been deemed unsuccessful and immoral by medical and mental health organizations. The bill passed with flying colors, 57-4 in the Senate and 134 to 3 in the Assembly. The urgency of the Senate to pass the new measure comes from larger LGBTQ rights pushed announced by Cuomo last year, which mandated the state to include prohibiting the so-called gay panic defense in court and adding gender identity to states human rights and hate crime laws. Initially, the ban focuses on conversion therapy- which seeks to change one’s sexual orientation or gender identity- always passed the Democrat-controlled Assembly yet failed to pass the Republican-dominated Senate. Despite the pass struggles, the GOP succeeded its majority in the midterm election, creating a stage for today’s victory. American Academy of Pediatrics research claims, conversion therapy, “can provoke guilt and anxiety while having little or no potential for achieving changes in orientation.” According to pass case study reports and data techniques used in the attempts to change sexual orientation and gender identity have included inducing nausea and vomiting, providing electric shocks, psychotropic medication, and hypnosis. A 2009 report by the American Psychological Association, this particular treatment has been associated with depression, suicide, addiction, high sexual risk behaviors, homelessness, and other mental health issues. During the study conducted at the Williams Institute at UCLA School of Law suggested that 20,000 LGBTQ youth between the ages of 13 and 17 will undergo conversion therapy by a licensed health care professional before they turn 18. Along with 57,000 who will be subjected to the treatment by a religious leader or spiritual leader under the permission of the parents. In response to those claims in 2012 California became the first state to prohibit conversion therapy on minors, since then more than a dozen states have followed. Other states including Texas, Minnesota, and Indiana are currently considering bans within the next few years. The Recover is an unbiased substance abuse and mental health news provider. Helping individuals looking for the right treatment programs in their area. Also providing information on New Jersey drug rehab centers for addiction recovery.